Remind yourself of the dangers that soldiers regularly face by wearing this military shirt. 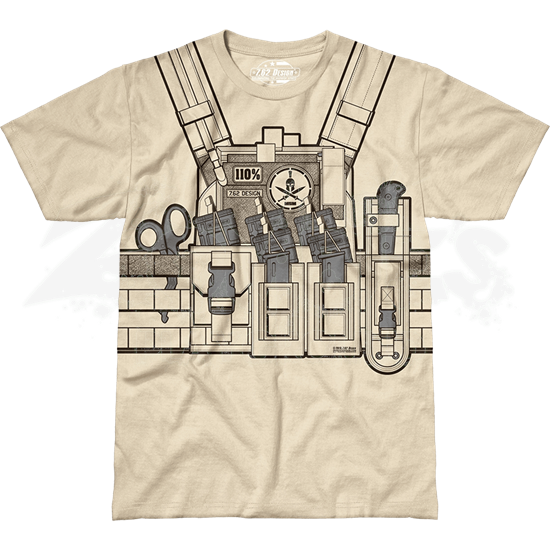 The Bullet Bouncer T-Shirt emulates a soldiers pack, featuring an awesome design that will have you locked, loaded, and ready to go. The wrap-around graphic of this soldier t-shirt covers your whole middle. The front displays a harness with shears, a combat knife, and packs of military supplies, while the reverse features wires, buckles, flares, and a spoon. 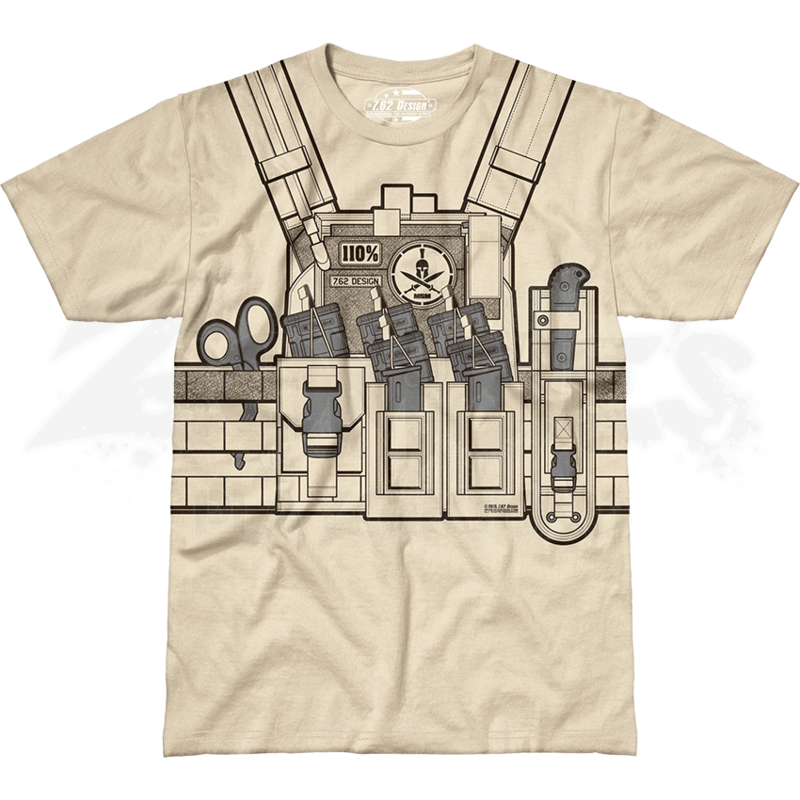 Showcasing incredible soldier style, this Bullet Bouncer T-Shirt is a fun way to add something unique to your wardrobe and to include some awesome military detail in your everyday look.